The house of Creed is world’s only private luxury fragrance dynasty. Currently under the leadership of perfumer Olivier Creed, the house will eventually pass through to the next generation with Erwin. With the rapid changes in the fragrance industry, Creed strives to maintain their classic traditions while modernizing to stay relevant and inspirational to the next generation. With the advent of the internet and fragrance blogs/criticism, the open discussion and analysis of perfume is much more widespread. If you look at blogs, you will often see many threads discussing the Creed line of scents. I had the honor of speaking with Roberto Ferreira, the National Creed educator and the Curator of the Creed Collection for North America, and we discussed everything from vaulting, IFRA, naturals and yes, the effect of the blogosphere. Ron Slomowicz: What is it that you do at Creed? Roberto Ferreira: I am the national trainer, which is my main title. I am also the curator, which means that I work in conjunction with the marketing department and I work in terms of fragrances by season. I avoid problems like promoting Love in Black in the summer. I avoid those kinds of problems that they can’t understand. I work in conjunction to help them promote fragrances and events through social media. I work with the public relations department making sure that the info coming from Paris is filtered through me before the public. Every time I go to the office, there are piles of questions and sheets that are missing information. I am the one that makes sure at the technical level that all the notes, words and descriptions are in their place. For instance, avoiding things like Mandarin listed as the base note and Musk as the top note. RS: And that is not possible. Roberto Ferreira: Correct. In addition, if someone wants an interview and Erwin is not around, I am the next person that they go through. Whenever he is not available, they call me. RS: A lot of the story of Creed is around famous people in history that you have created fragrances for. Are there any modern celebrities or royalty that you are working with for fragrances? Roberto Ferreira: Yes, but I cannot talk about that just because I know that you are into blogs. I actually know of three people that are alive that have had fragrances, but it was leaked through the media. In an interview, they said that they had a master custom blend by Olivier Creed in such and such year and this is the name. We are actually completely forbidden to talk about it unless they say so themselves, there is a contract. However, yes, there are a few of them right now. One of them is actually very famous right here in the United States. RS: When these people pass away, are the fragrances released? Roberto Ferreira: There are contracts, they can sign five years to a lifetime for them not to be released. Whatever the contract is, when it expires Creed has all the rights to release the fragrance to the public at their will. For instance, Windsor was created in 1936 and all this time it was in the vault, until Olivier said that he wanted it out. On the other hand, Fleurissimo went out to the public immediately after she passed away. Creed was released to the public in 1970 and in 1972 that fragrance was out. They are the ones who call the shots. RS: I wanted to ask you about Original/Vintage Tabarome; is it ever going to come back? Roberto Ferreira: Yeah, we actually got so many hits from it that we are talking about it. When I say “we,” I am talking about International Cosmetics and Perfumes. They are really trying to convince him to not only bring back Tabarome, but also Citrus Bigarrade. They are planning to rerelease both of those at some point. I know what is coming out until the summer of 2013, and those are not in the lineup. If we do have a one of those two fragrances coming out, it will probably be in the fall or during 2014 as a limited edition fragrance, not for the permanent collection, though. I know those are the most sought-out fragrances. RS: With those fragrances, they have been vaulted correct? When something is vaulted what exactly does that mean? Roberto Ferreira: There is actually a vault. I thought that the terminology was used to refer to a PR word for discontinued, but in fact there is one. I actually asked them to show me a formula one day; there were about seven people in the lab and the room turned silent. I asked them if they minded showing me what a formula looked like and everybody just turned their head like I was nuts. Olivier was pretty cool about it and said, “of course, what do you want to see!” I asked for Spring Flower just to see what the difference was between the melon, peach, apple, jasmine, and rose and to see what it actually looked like. It was really incredible. It was at that moment that I learned that there was a door in the lab, and then another door and both doors are locked. There is actually a vault that has handwritten and typed formulas in it. That means that the formula goes back into the files and drawers. There are many reasons why they pull the fragrances out. Number one is that certain raw materials can no longer be found, some are actually forbidden. For example, you can’t use oakmoss anymore because it’s an allergen. You can’t use things like natural musk or simply oud because they hit the list of endangered species. You have to keep up with the times and we have to be sensible to those things. However, we are a very private small house that does not require large quantities of things. For instance, sandalwood from Mysore is on the endangered list and the larger houses can’t get what they want because they want such large quantities. They say you can only get 50 kilos because they have to supply other houses, one is Robertet and one is Creed. Robertet has phenomenal oils and they are one of the most world known fragrances for their oils, they are unbelievable. They sell essential oils and have a factory in Paris; I highly recommend that you go there if you ever make it to Paris. I have access to certain things but I don’t know if Robertet is in the lineup yet, I am going to try to go though. RS: You mentioned regulations, which is the IFRA regulations, can you give some examples of fragrances that were pulled because of IFRA. Roberto Ferreira: Yes, I don’t know if you remember Herbe Marine, it was from 2001. Also, Verveine Narcisse in 2003. I am positive about those two because I asked him, but they are really the only two that I am 100% sure about, the rest I would have to speculate. RS: With Cuir de Russie and Tabarome, those were not because of IFRA but other reasons, correct? Roberto Ferreira: Those were simply because they have certain raw materials that are very hard to attain. With Verveine Narcisse I know 100% that it was because of IFRA. With Cuir de Russie, I have a feeling that it was perhaps because of the raw materials. There is also another reason why they are changing all of the fragrances. This collection that you see here, not the ones in color, the best sellers but the Acier Aluminium, Cuir de Russie, Chevrefeuille, Epicea, Ambre Cannelle, those were fragrances that were selected in 1970 when Creed was first available to the public. Today, the world of fragrances is a very trendy one and you have to keep up with the times. You don’t want to end up like a classic house that keeps stacking fragrances; you really have to move it. From 1970- 2012 is 42 years, and a lot has happened in the fragrance world, very quickly. Especially after 1993, the introduction of mass production of headspace technology has created a huge thing. Fragrances like Creed don’t get affected by that, but there is a huge value of fragrances that are exponentially growing in terms of style. You have to keep up with the times as well. The last reason is because Erwin is coming and he feels that Jean Claude Ellena and Olivier Creed have their own style, therefore Erwin has to develop his own. It seems to me that Olivier notices that Erwin’s style is a little bit more contemporary since he is only thirty-three years old. He feels that he has to create something to make Erwin’s collection more appropriate to his personality. RS: The most recent releases that I can think of are Virgin Island Water and Aventus, they seem more modern, crisp and fresh, is that more of the direction that the house is going to go? Roberto Ferreira: There is a new collection of fragrances that are coming called the Aqua line. It is actually a nice balance of what classic and modern perfume is. We are basically making a hybrid. 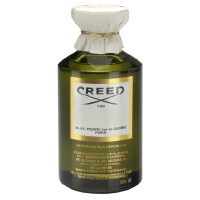 Creed is known for having very classic, modern, and somewhere in between fragrances like the Royal Exclusives line. In my opinion, I have a feeling that it is going in the direction where they are making something modern, but still a classic. Aventus is a very contemporary fragrance, but as it dries down after a couple hours, you can notice a certain classic touch towards the end of the scent. Original Cologne is a classic fragrance but it is very modern as well. That is what the Aqua line is doing, more of a classic with a modern with type of direction. RS: There is a trend in fragrance now with the naturals, what percentage of the make-up of a fragrance from Creed is a natural? 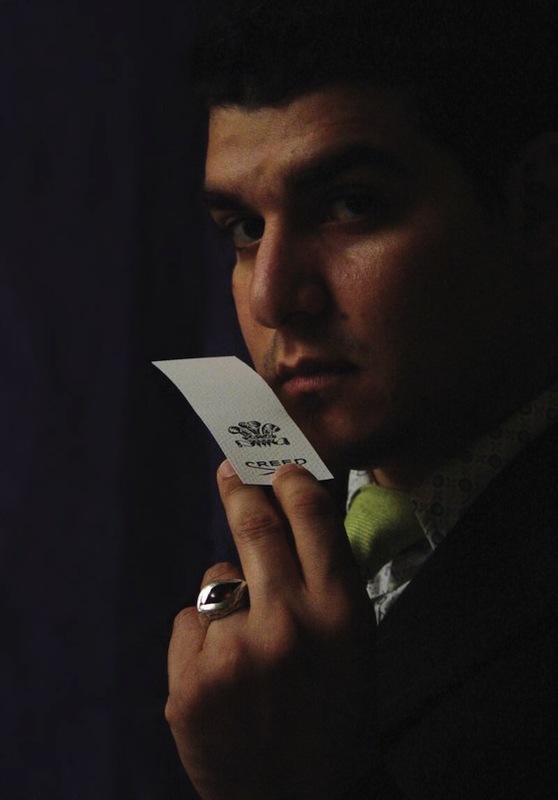 Roberto Ferreira: 65% – 90% depending on the fragrance. As you may know, there are certain molecules that are very short, and extremely volatile. In fragrances like those, you have to increase the level of synthetics to make them more tenacious. Examples of those are very citrus-y ones, so in that case I would say about 65%. In fragrances that are a lot more dense in terms of composition, where they are bottom-heavy, like Original Santal, Royal Oud and Acier Aluminum, you can increase more on the percentage of raw materials. By nature, those perfumes are meant to be tenacious. In that case, you don’t need to use as many synthetics. For example, rose has approximately 600 molecules in it. In sandalwood and musk, they are as complex as they can be. So with those ones that have natural preservatives and natural fixatives. Fragrances that are bottom-heavy, which means that the molecular structure is wider and more complex, but can handle the heat more easily. In fact, those are stored in a heater as opposed to the top notes, the citrus-y ones that are stored in the fridge. They cannot sustain degrees higher than 45 degrees, which is why those molecules evaporate so quickly. It depends, but 65-95% is really the ratio. RS: This brings me to my next question. Do you read blogs at all? Have you heard of Basenotes before? Roberto Ferreira: Of course, I know Martin and a few people there. RS: One thing that is a very hot topic on there is the variation between the batches; I am guessing that may be because the naturals are varied by season. Is there anything that you would like to say about that? Roberto Ferreira: Yeah, you are absolutely right. I know that people are into lot numbers and the fact that something has an 11 that means it is from the 2010 batch, or the fact that something was collected in the spring. People can go on and on, but even I have no idea what the numbers mean. It is an internal thing and they do that so they have control of their stock. You see, Picasso never said to anybody that he was putting eggs in his own gesso powder to create the canvas for his paintings. He was making his own by grinding things from the ground, that is why his paintings are going to live for thousands of years. Same thing with Olivier, do you think that he is going to speak about something that is so unique? He needs to protect his own product from counterfeit. The minute that you reveal what that means, you are getting deep inside of it. People have speculations, but there is no confirmation on it, I don’t even know and I wouldn’t dare ask. So yes, there are differences in the fragrances and it does have to do with the fact that 2011 was a very different year than 2012. For example, in 2010 when El Nino happened, there was a lot of drought. Now were are going into more of a monsoon type of season from La Nina and there is a lot more rain. This environment has a direct impact on nature, and therefore the quality of the raw materials. We use the natural raw materials, so of course there are going to be many variations. Since 2001, have you ever seen Tabarome Millesime be greener than this? In twelve years, I have never seen it that way. I can mention a few fragrances like that regarding the variations of natural raw materials. Neroli Sauvage, Bois Du Portugal, Aventus, Windsor, all these fragrances have had different variations, but in terms of formulas they have all been the same. So yes, it happens, but there is nothing you can do about it. It is basically guaranteed that what you are getting is really natural essences. RS: What effect do you think blogs have on the fragrance industry and on Creed? Roberto Ferreira: I love them, I have to be honest, whether they are good or bad, they’re awesome. Let’s speak of the bad ones, every time there is something bad, the bad comments actually create more stir. There are always people that disagree with them. For example, every time there is a negative blog, there is someone who disagrees with it. Someone like Martin, who loves Creed, is like our cheerleader. He comes in and says “guys, what’s the need of this,” he is a true connoisseur. I consider myself a connoisseur as well and for me, there is no such thing as a men’s or women’s perfume, I collect perfumes. I am serious about it. I can have negative thoughts about something, but never to the point that I would degrade someone and say bad things. Speaking for myself, I don’t like Jackson Pollack, but that doesn’t mean that I don’t appreciate the work that he did. I like people to be honest, whether positive or negative. I think it’s a phenomenal thing. Thank god for blogs! RS: Can you talk about anything that is coming next? Roberto Ferreira: Yes, the ancillary products for Imperial, which I saw for the first time in the laboratory in 2005. I was so excited, it had deodorant, soap, you name it, but it never came out and I was so disappointed because it was one of my personal favorites. So ancillaries for Imperial and Aventus. Acqua Fiorentina is coming back, but not with the same color, a lighter one. There is going to be a little difference because we noticed that the first batch we made could not be replicated because of IFRA restrictions and the colors are different. Creed’s colors are very natural; you will never see red or anything like that. This year that is coming out. There is a new women’s fragrance coming out next year, I can’t tell you too much about it but we were in need of a woman’s fragrance and this one is based on one of the most popular limited edition fragrances that we had and its subject is gardenia. As you know, gardenia is a ghost flower, so making a fragrance out of a ghost flower and using natural raw materials is very challenging. That is going to be in the news and also the collection of the Aqua line, which I can’t talk about at all but it will be here in 2013. I am answering your question without an answer! RS: What is your favorite Creed fragrance? Roberto Ferreira: Windsor is my ultimate love. I also love Royal Oud. You don’t know Verveine Narcisse but that is another one. Those are my three ultimate favorites of all time. If I had to pick a fourth and fifth favorite I would say the Tabarome Private Collection and, from the lighter versions, Imperial because of the transparency and the tenacity. It is a very ethereal fragrance, but also very elusive in terms of construction. I like what it does, it’s somewhat seducing. RS: Outside the Creed world, do you have a favorite fragrance? Roberto Ferreira: Yes, of course. I have quite a few of them. JAR I would have to say. Jarling and the Lightning ones are my favorite. Also Golconda, I discovered it in 2001, at the time when there was only one store in the world that had it and that was in Paris. When I discovered it, I knew that it was the work of a genius, they came out ten years later and I predicted it. I like Serge Lutens because of his violent approach, he just doesn’t care. He will produce something that will leave you completely intoxicated. It will leave you in a coma for a few minutes and you don’t even realize it. I love that. I also enjoy Frederic Malle because of his artistic creations and that aesthetic freedom that the perfumers enjoy. It is something that is deeply rooted in perfumers, where there are no aesthetic or financial boundaries. I enjoy him very much so for getting deep into a perfumer’s obsession. Comme Des Garcons for their versatility and their daring innovation. They are absolutely fantastic, they don’t care. They can make a fragrance that smells like tar, but I don’t care, I’ll love it even if I don’t wear it. I wear women’s fragrance for god’s sake and my friends know me for wearing very weird scents. I like Jacques Polge from the exclusive series by Chanel and I am a true lover of whatever he makes. I have my doubts with certain things but it’s okay. I have to say that I also love the Lat Matiere series by Guerlain. They are all phenomenal and very interesting. RS: One last question. What would you like to say to all of the Creed fans out there? Roberto Ferreira: Hold on tight, because everything has been beautiful, but the future smells very good! Olivier is at his prime right now and everything that he has created over the last few years is proof and a foreshadowing of what’s coming. I think that it is going to be very interesting so the future smells good! Fascinating interview! Commenting away from any possible controversy, I enjoy that Mr. Ferreira so readily shared his loves from the Creed line *and* other lines. As always, brilliant interviewing, Ron. Thanks Natalie. He was such a great guy to chat with – you can definitely tell how passionate he is about perfume. I also love the way he spoke about blogs and how he reads them. Great Interview!! !, Robert is very passionate about perfume. I love Creed!!.. my favorites are Love in White and Royal Oud.